Growing up my parents always told me a good investment is to invest in land and real estate. Why? There is only so much land and they really are not making any more land. Many people get discouraged from investing in real estate because it is just so expensive. After all, you need hundreds of thousands of dollars, right? In comes Fundrise starter portfolio. You can start a real estate investment for as little as $500.00. That is definitely not hundreds of thousands of dollars. Real Estate Investment Trusts (REIT)are expensive! They have massive fees associated with them. This is where Fundrise changes the field. They are just like a REIT, but there are not the associated fees that REITs have. They are not a publicly traded company. Your investment may be liquidated once per quarter, although it is suggested to keep the investment for up to 5 years. They have three different investing options. The Starter Fund which has a minimum of a $500 investment. The second option is the Goal-Based which is a minimum $1000 investment. Goal-Based allows you to have more control and diversify more than the starter fund. The final investment option is Direct Investment. The direct investment is one in where you are investing in a community and use your funds to purchase a house in that community, or at least use the funds as a down payment. The purchase of the house is done before it is available to the public, so you skip the middleman. How much does Fundrise Charge? Let us start by saying a typical REIT manager charges between 6% and 9%. This is what I am talking about by they are expensive. Now Fundrise charges a fee of 0.15% annual management fee. So, you actually get to keep more of the money you earn. This is a huge difference. Where and What can I invest in? If you look on their website you will find they have projects all over the US in major metropolitan areas. Areas such as Los Angeles, Seattle, Jacksonville, Phoenix and so many more. They have all kinds of projects from apartment development and apartment renovation to housing development. You can even get into commercial development. They really do have many different options. You can get your money once per quarter, but to make the most of your money you should leave it in the project until completion or 5 years. It also depends on the project, but 5 years is what they suggest. The returns are really good. They are better than some of the top REIT out there. For example, Vanguard REIT ETF averages 3.5% annualized return where Fundrise average is 7.17%. That is more than double the return and fewer fees associated with investing with them. Go to their website and click the option you want. It really is a simple process. Of course, you have to fund it. My Final Opinion on Fundrise. If you are looking to expand your portfolio or are looking for a passive way to make money from home. This is one that might interest you. Of course, you need some money to get involved, but the amount is very small compared to other RIETs that are available and the fees are much less. 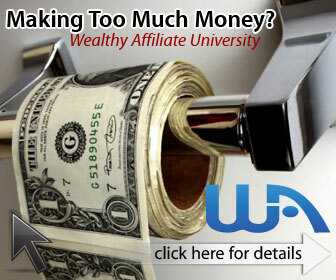 You might not be into this, but you can always check out the way I learned to make money online here. If you are a member of Fundrise or have additional questions, please leave your comment or questions below. Mind you I am not a financial advisor and should not be considered financial advice. This is just another option that I thought my readers would appreciate. Any and all investments carry risks, you should do your own due diligence. I also have no affiliation with Fundrise and have been in no way compensated for this post from them.